Zucchini like Cauliflower is an amazingly versatile vegetable! Zucchini’s have such amazing versatility in LCHF food, besides using it as an alternative to lasagna sheets (cut thinly length ways), and spaghetti, it is now my favorite muffin and snack food. Zucchini muffins are not only more-ish, but tick all the boxes on LCHF! I made 12 of them the other day, a few meant only for breakfast, for me and a friend. And his first comments before eating them, were he doesn’t eat muffins & he wasn’t hungry! Well…..I only had 2 & 2 were left, and 3 he took home, but the maths will show you, how well he truly loved eating them. Only 2 Zucchini Muffins left! This mixture makes 24 muffins, so you can either make a 1/3 (aka 8 muffins) or 2/3’s (16 muffins) of the mixture if you don’t want so much! Or keep the mixture in the fridge and make when you so desire. Mixture will keep in the fridge for 5-7 days. Grease your muffin tray/s well. With a handblender, mix the cream, eggs, stock & salt/pepper together until well mixed. Put the zucchini into the muffin trays, until each muffin hole is filled 2/3’s. Then pour some of the liquid mixture over, until just covering the zucchini, your muffin hole should be approximately 3/4’s full. Bake in the oven for 20-30minutes, until fully cooked (like cupcakes, the mixture will jump back into shape, when lightly pressed on top, if it doesn’t, it’s not fully cooked yet). Enjoy as an alternative to breakfast OR use as a snack! 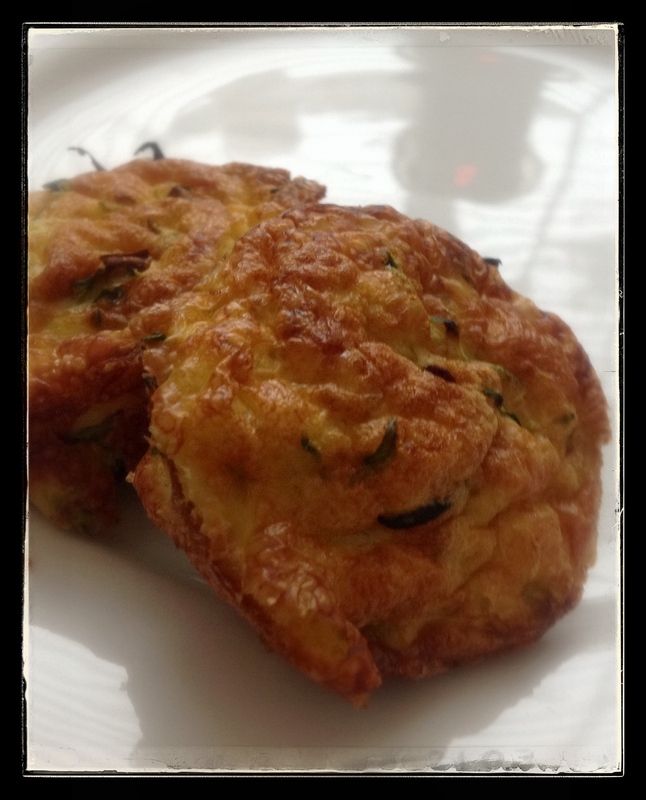 This entry was posted in LCHF recipes and tagged Atkins, baby marrow, banting, LCHF, lchf frittata, lchf muffin, lchf snack, low carb frittata, low carb muffin, low carb snack, vegetable frittata, vegetable muffin, zucchini, zucchini muffin by angelb38. Bookmark the permalink.